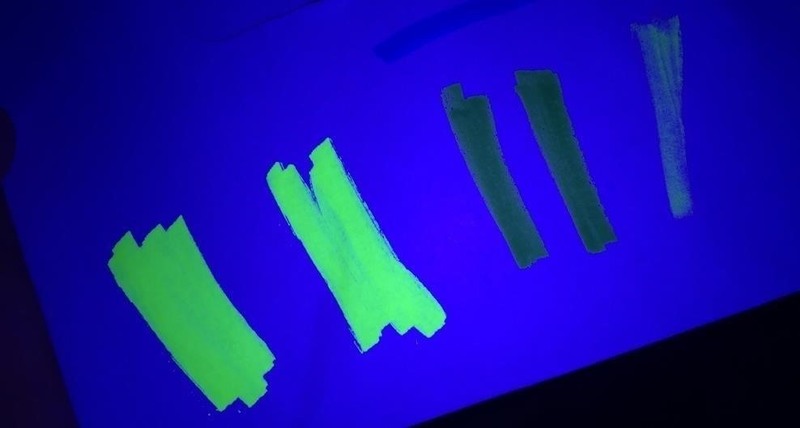 Black lights come in all shapes and sizes, and are useful in a variety of ways—they can help you spot fake currency, urine stains, interesting rocks, deadly scorpions, or even just some cool fluorescent artwork. Most black lights work using a filter or coating over the bulb that filters out most of the visible light and produces mostly long wave ultraviolet (UVA) light in a dim violet glow (filter-less bulbs will produce a blue color). With a black light, you can see fluorescence, the radiating glow emitted by certain substances when exposed to ultraviolet light. While no smartphone is technically capable of emitting UV light currently, you can mimic the effect of a black light using your phone's LED flash, a few markers, and some transparent tape. It won't work as well a commercial LED black light, but if you're just looking to show off some cool fluorescent art or mutant-looking plants, it'll definitely do the trick. This project can be literally be done is seconds if you have all of the materials in front of you. It's that easy. And if you don't plan on taking any photos or videos with your device's camera, then feel free to tape over that part also—if you're afraid of getting ink on your camera lens. Place a small piece of tape over the LED flash on the back of your iPhone or Android smartphone (will also work on tablets with built-in flashes), which should be close to your rear camera. Color on top of the tape with blue marker so that it covers the flash. 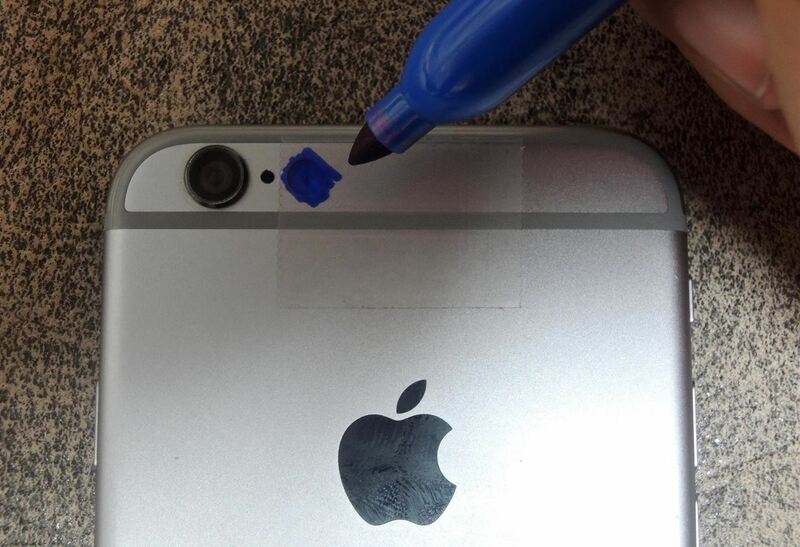 Place another piece of tape over top of the flash, and color on top of it with blue marker as well. 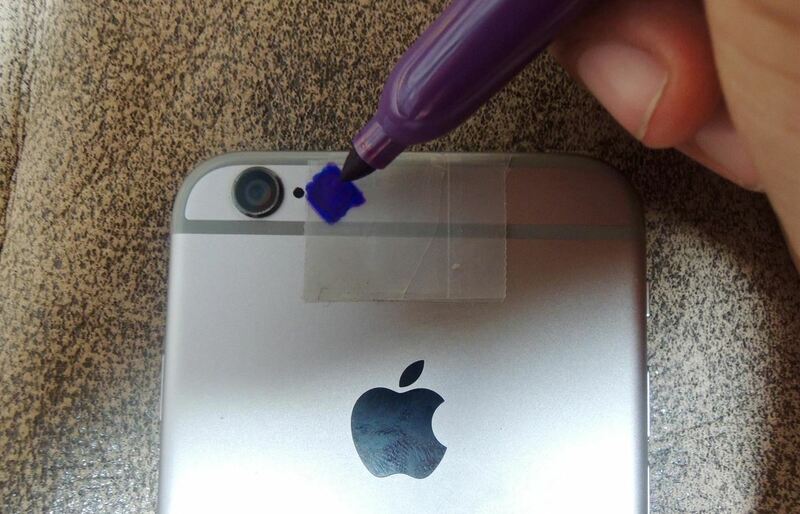 Place a third and final piece of tape over the flash, but this time color over the flash with your purple marker. 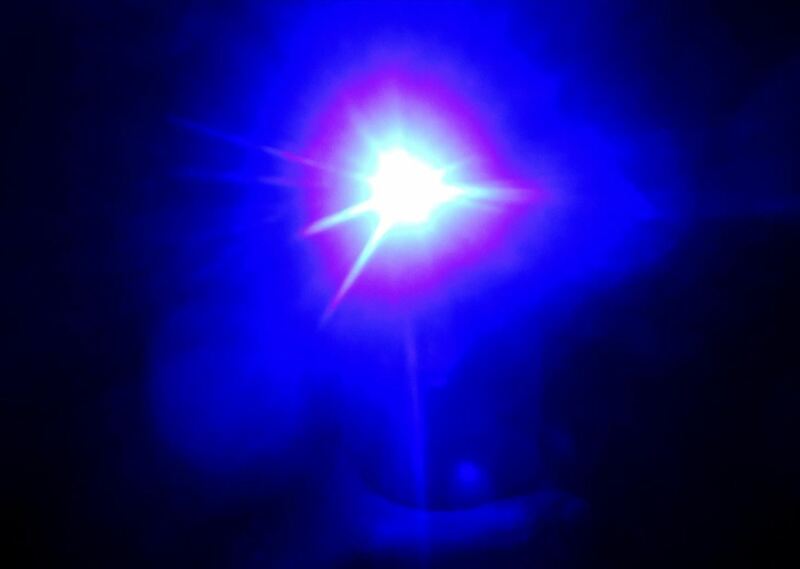 On a piece of white paper, write/draw anything down with the highlighter, then turn on your device's flashlight feature in a dark room and shine the purple/blue tinted light at it. 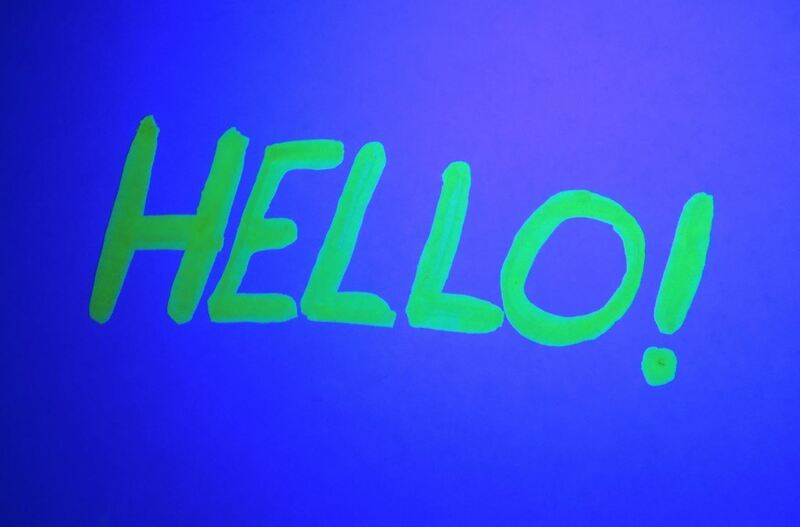 The yellow writing on the paper will come to life thanks to your brand new DIY black light, giving it a prominent look in complete darkness. Depending on the type of highlighter you use, your results will vary. Below are several examples, each from different highlighters, under my makeshift black light. If you want to take photos with the black light on, just make sure that you don't tape over the camera lens (like I did in my video up top) or you'll have a pretty blurry picture. Likewise for videos, though you'll also want to keep tape off of your microphone, too. 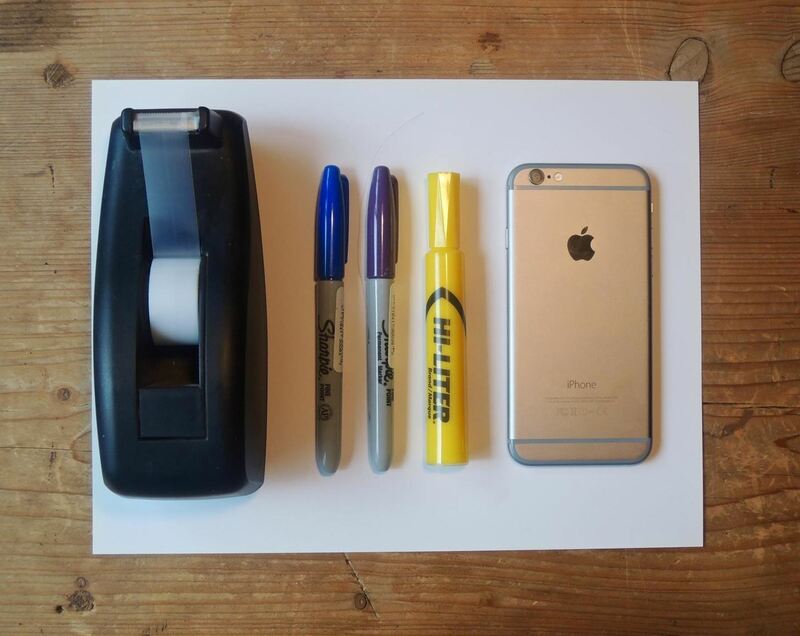 Follow Gadget Hacks over on Facebook, Google+, and Twitter, for more great tips.